This is not usefully mapped at all. Land, usable or no, is very specific. Aggregating to zip code is unhelpful in the extreme. Topography, transportation, zoning all play a role in what can be done with land. 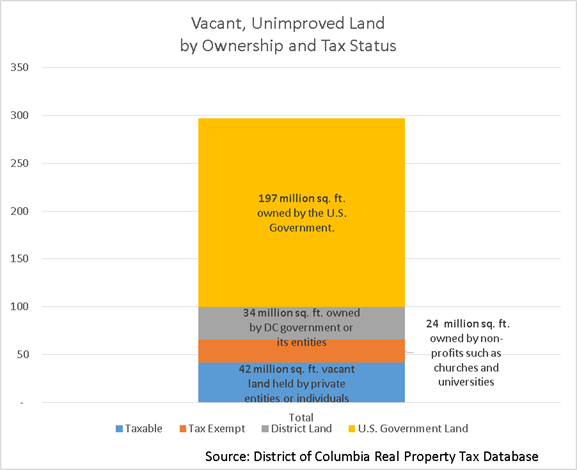 Including parkland in the discussion of vacant land is just wrong, inflating the numbers erroneously. Much of what’s been posted on this blog has been really interesting and useful. This is not. Your colleagues in Planning did not serve you well if they had any input. Pingback: Vacant Land in DC - Ruppert Real Estate, Inc. It would be helpful to overlay that map with a map of areas of the city whose zoning allows for an FAR of 4 or greater.